Riff Raff AKA Jody Highroller has signed with Mad Decent and released Birth of an Icon mixtape. You know when Mad Decent is involved you’re bound to get a quality product. Riff Raff brings his Houston charisma to flow over so top-notch beats by producers such as Caspa, Major Lazer, and Flux Pavillion. 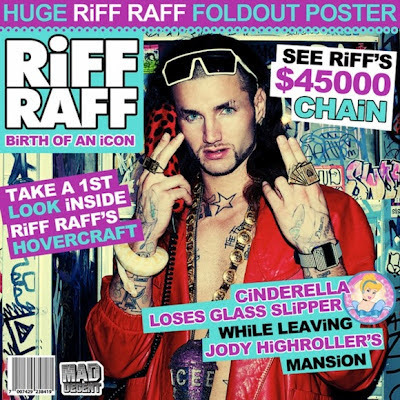 The jury is still out on Riff Raff but this might be the BIGGEST mixtape dropped this summer! Grab the mixtape here.